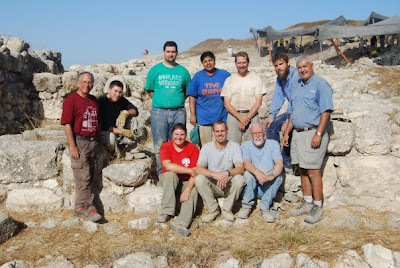 I am leaving today to go to Tel-Gezer in Israel. I will be there for five weeks with eight of my students. During that time we will be excavating in the administrative section of the society which is adjacent to the Solomonic gate complex. The picture to the right is of the group that went with me in 2009. So the blog, at least the blog's author that is, will be temporarily relocating to Israel until July 15th. I will continue to blog when I can. I will perhaps use this time as an opportunity to post on things related to sites in Israel. I haven't had the time nor inspiration to write anything today. But I have been looking around and thought I would direct you to a few sites. Apparently a new Gallup Poll indicates that 9 out of 10 Americans still believe in God. But the break down is interesting. Those living on the east coast and the those under 40 are less likely to believe. While some are waiting for the Noah's Ark theme park in Kentucky to be completed, a man in the Netherlands has built his own replica, much to the chagrin of his neighbors. The Irish Bog Psalter is finally on display. The Psalter dates from 800 AD and was lying in a muddy bog till 2006 when it was discovered. Over at the Naked Bible, Michael Heiser has some thoughts on the New Perspective on Paul. The Telegraph has a list of the top 5 religious mysteries, although, with the exception of the Dead Sea Scroll, the items they list are more legend than mystery. CNN has an article about what they have learned on their Belief Blog as it hits its one year anniversary. Tim Gombis, author of The Drama of Ephesians, has started blogging. Check it out at Faith Improvised. I see that they are making Donald Miller's Blue Like Jazz into a movie. Perhaps I will understand it better in movie version. Here is the trailer. That's it for now. If I find anything else during the day I will post it. We recently commissioned another group of graduates. There were many in this year’s group that I had come to know personally and I wonder where they will be and what they will be doing in the near future. Her statement got a round of applause from the audience, but especially from those of us in the faculty section. I admit I was one of those applauding. And I can echo her sentiments having just finished another year and submitted the final grades. I am constantly disappointed if not shocked by how little effort or care some students put into their work. 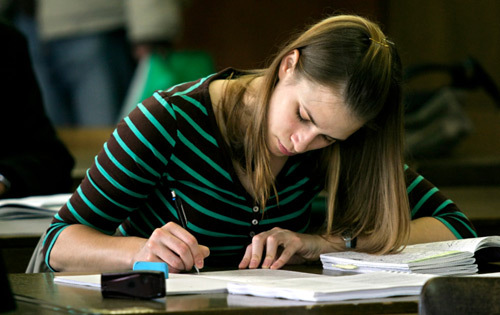 Papers are late, sloppy, and full of errors or not even close to what the syllabus required. And let’s not even talk about plagiarism and/or cheating. And yet some students do not seem to care. They are hurtling towards their goal of becoming pastors, chaplains, counselors and yet don’t take serious their time in the classroom as a prerequisite to the job they want or claim to be called to. Seminary is just another thing to check off on their way to ministry. Why is this acceptable? Why do we think it is ok for those who care for peoples’ souls can pass their classes with minimal effort and no sense of personal pride and/or responsibility? Who would want to be treated by a medical doctor who did not take the time to study and understand biology or pharmacology? Would we be satisfied with an MD whose attitude was “D” stands for degree? No, we go to a doctor trusting that someone in the education process made sure that this person was prepared to care for people. Yet, not all pastors-to-be pass through seminary trying to get the most from their education. They are after the piece of paper that gives them the requirements even if they really don’t have the qualifications. Somehow they convince themselves they already have what it takes. In fairness, not all students have the “D” stands for degree attitude. Many are just too busy or trying to fly through the degree too quickly. The problem, however, is that they seem to be learning very little. They are working 40 hours a week and taking four classes. Some have church responsibilities as well. And then there is family. Such a schedule and list of responsibilities means something is going to fall to the wayside. Quite often it is their schoolwork. And while I understand the pressures of life, what I don’t understand is why they don’t take it serious enough to realize that to complete the degree and to complete it well means that time and space MUST be carved out to learn. The average student will be in their degree program for only three years. They will never have this opportunity again. But some of them are squandering this time. They are not learning the material nor are they developing the habits they need to make them successful in their ministry. Their degrees are expensive pieces of paper that are really worthless to them. One thing I tell many students is that the habits they develop here will follow them into the pulpit. If you don’t take the time to do the work here, and to do it properly, what makes you think that the switch will magically turn on once you get into a church office? It won’t. The problem now, however, is that we are no longer talking about meeting the professors requirements on a syllabus. We are talking about a congregation of people who expect you to nurture and care for their souls. If you haven’t developed good habits in seminary, it will be even harder to learn them from behind the pulpit. And like a medical doctor who provides the wrong diagnosis, you could be guilty of ministerial malpractice because you did not make sure you were prepared. So if you are a student and you truly believe that you have been called to seminary, then I ask you to please consider those to whom you will minister. Your time in the classroom is not merely a hurdle to jump. It is a chance for you to learn and be formed so that when you do get in front of a group of people, although you will never have all the answers, you will know that you are truly giving them the best that you’ve got. You will be able to say with pride "I learned all that I could and I never entertained the idea that “D” stands for degree." John Goldingay is an excellent Old Testament scholar. The following video is his baccalaureate message at Fuller Seminary. Goldingay preaches on Isaiah 57 & 66 and how we should think about God. It is aimed at soon to be seminary grads, but it has something to say to all of us. Thanks to Steve Walton for point this out to me. Baccalaureate Spring 2011 from Fuller Seminary on Vimeo. 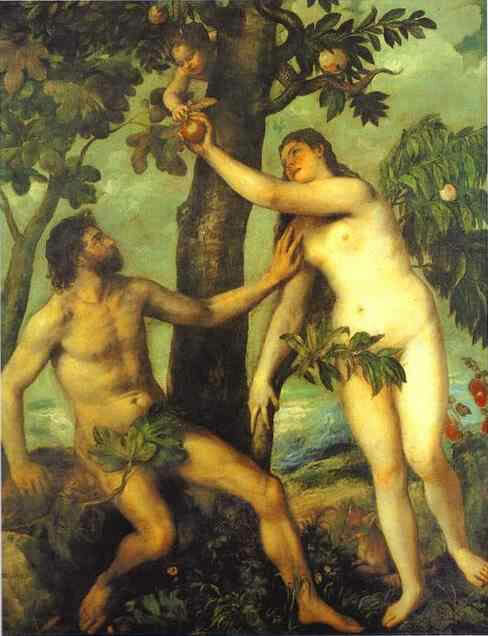 Adam and Eve: Real People or Mythic Couple? Ever since Charles Darwin (actually even before him) science has questioned, indeed denied, the existence of a real Adam and Eve. As our understanding of the origins of creation has developed and increased, it has become more difficult for people of faith to acknowledge scientific truth while holding to a literal interpretation of Genesis. For quite a long time belief in a real Adam and Eve was a test of orthodoxy for some and considered as important as a belief in the deity of Christ. But that has began to slip among many, particularly among Evangelicals. Now organizations like Biologos tries to educate Evangelicals how they can live in a world of scientific knowledge while still using the Bible as a guide to faith and practice. This month's issue of Christianity Today has an article The Search for the Historical Adam outlining the current debate. No matter where you stand on the issue, this article will help bring you up to speed on the issue and what others have to say. Congrats to Kevin Collier! He is the winner of this week's book giveaway. 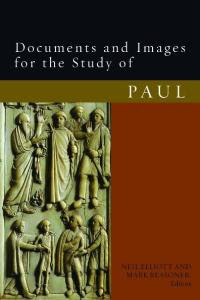 Kevin won Documents and Images for the Study of Paul co-edited by Neil Elliot and Mark Reasoner (Fortress, 2011). Kevin, you have five days to send me your details at jbyron@ashland.edu. For those who did not win this time I will resume Friday Book Giveaway when I get back from the summer digging season. I still have more!